Figure 3-33. 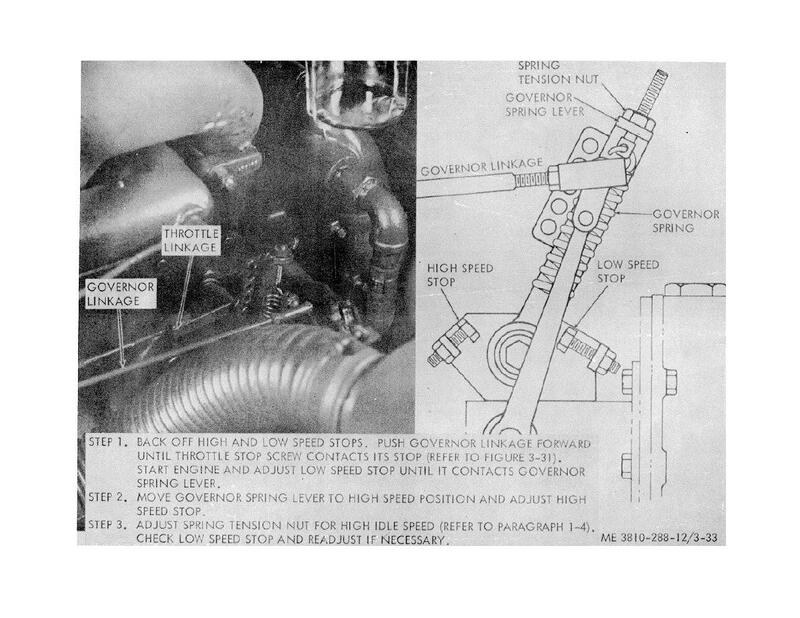 Engine speed governor adjustment. Figure 3-32. Carburetor, removal and replacement.